Academic studies become more focused when pupils start studying for GCSEs in Year 10 and 11 (or Lower 5 and Upper 5 in our terminology). This is an exciting and challenging time when girls begin to make choices that will shape their future. We believe that choosing the right GCSE subjects is fundamental to success in public examinations at the end of Year 11. We encourage students to choose subjects at GCSE that they enjoy, find simulating and that suit their individual learning styles. 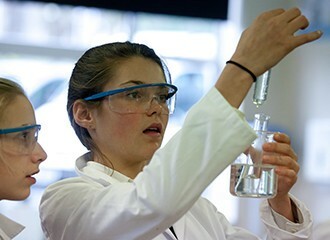 We work closely with students and parents to help them to make subject choices that are right for them. The success of this approach is evident in our excellent GCSE results. Once students have identified the subjects they wish to study, we then arrange the GCSE timetable around those choices, so there are no restrictions on the combination of subjects students can select. 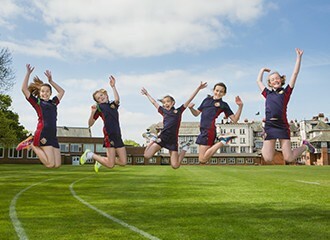 In line with the national curriculum, all students undertake GCSEs in Maths, English Language, English Literature and Science (either dual or triple). We also ask that they study at least one Language (French, German, Latin or Spanish) and our top set Maths students study Statistics as standard. 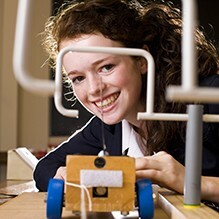 Alongside these core subjects, students then select additional options from a wide range of GCSE subjects. You can find out more about our GCSE Curriculum and the range of subjects we offer via our GCSE Information booklet.